An interesting statue made of resin. It resembles a stylized tree with developed crown in a bright color. The base and pedestal gives it stability and seriousness. An artist's impression of the statues, can spice up any form of recognition and reward. 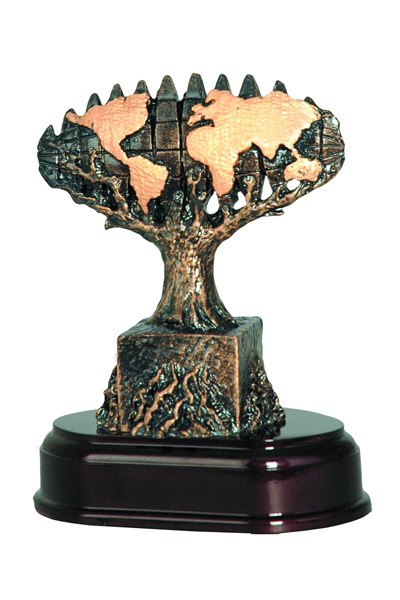 Customize this statuette to match your own award recognition event.